At first glance, the HTC Sensation Z710t doesn’t differ much from the phone first introduced last spring, but underneath the familiar exterior lurks the new ST Ericsson NovaThor SoC. The handset is headed for China Mobile and couples the 1GHz Nova A9500 dual-core application processor with the Thor M6718 mobile for connectivity to the carriers TD-SCDMA network. The pairing is designed for speed on all fronts. Otherwise, the Sensation remains largely the same with a 4.3-inch qHD display and 8MP camera. Pricing an release date for the handset are currently not available. Geneva, September 26, 2011 – China Mobile and HTC have launched the first smartphone to be based on ST-Ericsson’s powerful new NovaThor platform. The Sensation Z710t offers consumers immersive 3D graphics, fast web browsing, high-definition multimedia and the ability to run several advanced Android applications simultaneously with exceptional performance and battery life. Underneath the hood of the HTC Sensation Z710t are ST-Ericsson’s Nova™ A9500 dual-core application processor, running at 1GHz, and ST-Ericsson’s Thor™ M6718 modem, which can connect to China Mobile’s extensive TD-SCDMA network, enabling consumers to get online at broadband speeds across much of China. 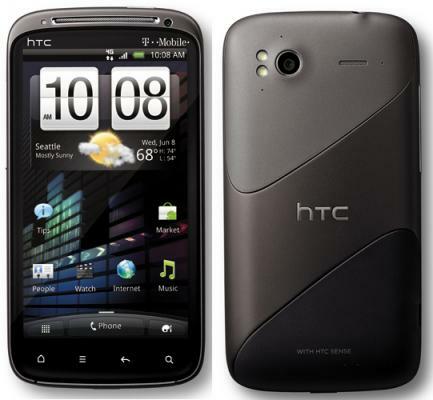 The HTC Sensation Z710t also sports an eight megapixel camera and a 4.3 inch display.